Over the last decade, mobile connectivity has gotten much better—and our data consumption has skyrocketed accordingly. We used to send texts and check webpages on our phones; now we scroll through hundreds of photos and watch high-quality videos. In Mexico, the third highest Internet penetration country in Latin America, most people access the web through mobile. But even as data plans are more affordable than ever, people are always looking for ways to enjoy the web without using up their data. And access to information is still a challenge for many. To bring better Internet access to people in Mexico, we’re working with Internet service provider Sitwifi to convert their existing hotspots to Google Station, our high-speed public Wi-Fi platform that gives partners an easy set of tools to roll out Wi-Fi hotspots in public places. 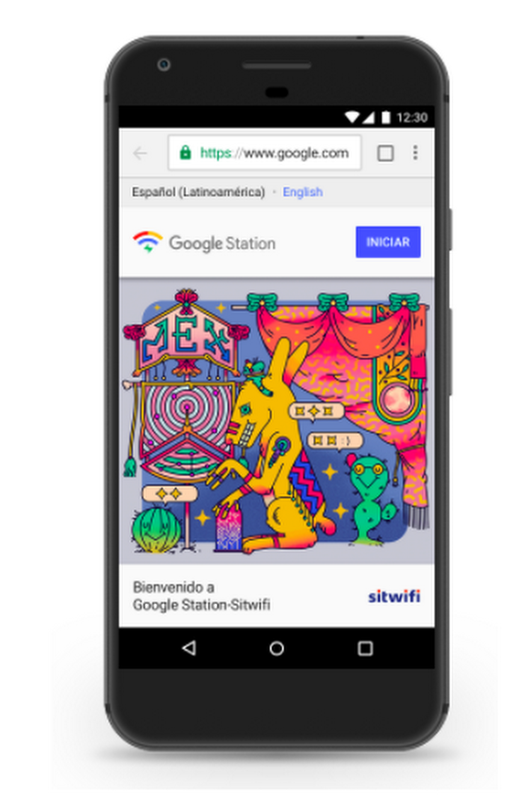 Starting today, Google Station will be available in 60+ high-traffic venues across Mexico City and nationwide, including airports, shopping malls and public transit stations. We plan to reach 100+ locations before the end of the year. Mexico is the first country in Latin America to launch Google Station, and the third country globally, after India and Indonesia. Google Station can be found in Mexico City and 44 more cities in the country, so if you’re near one of the locations, go watch a high-quality video (or maybe save some YouTube offline for later)! To learn more, see station.google.com.